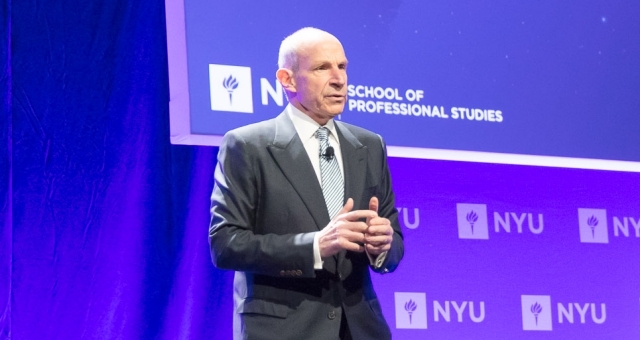 Loews Hotels and Co CEO and Chairman, Jonathan M. Tisch, has called on hospitality industry leaders to address critical issues including growing security concerns, global competition, outdated American infrastructure and destination overcrowding in keynote remarks at the 40th annual NYU International Hospitality Industry Investment Conference in New York this week (June 5). Global travel and tourism is an USD$8 trillion market, Tisch said, and it is expected to grow an additional 44 percent over the next decade. But given the 13 percent decline in the U.S.’s share of the global travel market in recent years, Tisch stressed the importance of travel promotion programs like Brand USA and reiterated the need for support from Congress and the business community. Tisch also called attention to the Trump administration’s recent extreme vetting proposal, which would apply to more than 14 million visa applicants. He underscored the success of trusted traveler programs like TSA Precheck and the Visa Waiver Program and urged policymakers to not forget important lessons learned from them. Tisch also noted the continued need for greater investment in America’s infrastructure and underscored the travel industry’s eagerness to work with the Trump administration to spearhead this effort. “As an industry, we’re ready to work with the President and Congress to build the infrastructure America needs,” he said. According to Tisch, the global travel boom has arrived and along with it, some unintended consequences. Destinations around the world are struggling to manage the impact of fast-growing tourism on their communities. Despite the challenges ahead, Tisch remained optimistic about the future of the travel industry and the American economy as a whole.